In developing LEAD Marketing Agency, Tom’s vision was to provide clients with measurable results as it pertains to their advertising and marketing. 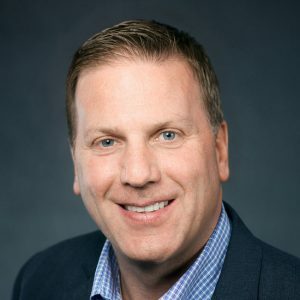 With years of leadership experience both selling and representing companies in their purchase of advertising, Tom has a well-rounded understanding of the industry. Additionally, Tom has managed online advertising strategy and buys for multiple accounts since 2004 and has become expert in the strategy of driving targeted web traffic into conversions. He has hosted seminars on Search Engine Marketing in partnership with Google Ad Words professionals, as well as Sports Marketing. He is a past member of the West Michigan Sports Commission Advisory Council and an Adjunct Professor at Davenport University’s Maine College of Business in Grand Rapids, MI. What I do: Mainly, I get out of the way. I help provide guidance and support to the talented people we have at LEAD. Client: One that sees marketing and advertising as a means to grow their business. Pastime: Watching and supporting my kids in all of their activities as they strive to be the best they can be. An Insight: Seeing an opportunity for a client within the data that we analyze for them, acting on it and achieving the objective. Someone who has influenced my professional career: A former coach of mine, Jim Harkema. Among the many things learned from my experience around him was… Be accountable. Embrace competition. Be better today than yesterday. If you can truly deal with those things, you’ll go far in your personal life and career. An out-of-the-box solution: We do these all of the time at LEAD. As long as the objective is clear, every strategy that we enact to reach it can be considered out-of-the-box. Very rarely are any two solutions alike. Skills: While I’ve been responsible for many tasks associated with marketing throughout my career, I’ve always been goal driven and worked with the end in mind. This has certainly helped shape the mindset and the culture at LEAD.